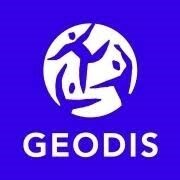 GEODIS is a global logistics company with local presence and roots from Gothenburg. We are market leader, customer focused and work actively with our value-based culture. We are now recruiting a Business Control Manager who will lead the Business Control team in Sweden. You and your team are part of a large Finance team placed at our head office in central Gothenburg. As Business Control Manager you are responsible for the Business Control team and the Business Control area in Sweden. The Business Control team are responsible to deliver accurate, reliable and relevant financial information at the right time and to the right receiver in the organisation. You and your team will support managers and specialists of all functions within the organisation. You Report directly to the Finance Director. To succeed in this role we believe that you have an educational background on Bachelor or Master level with focus on Business Administration or similar education. You have 5-7 years’ experience in the area of business controlling and experience of working in an international financial environment. If you have experience from the logistics industry, it is an advantage. It is highly preferred that you have leadership experience. You communicate professionally in English and Swedish, both written and spoken. We are looking for you who want to work according to our values: Commitment, Innovation, Trust, Solidarity and Passion. This recruitment process is being conducted in collaboration with Meritmind. For more information, or if you have any questions regarding this role, please contact Heidi Höyem, responsible Recruitment Consultant, 0705-131622. Selection and interview will be ongoing, please send your application in English or Swedish as soon as possible. This position is open for applications as long as the ad is displayed on our website. Make sure you include your name and contact information in your application. You can only attach one document in your application. Your application is sent when you have chosen a document and press Open.